Charge into battle with over 150 players per server! 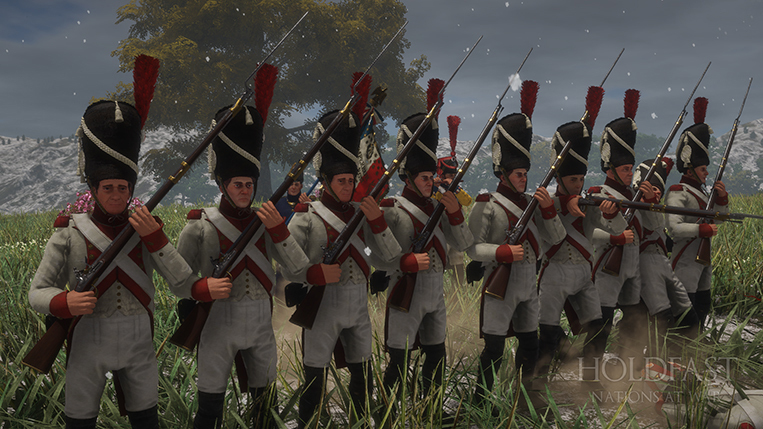 Play as a Captain, Sailor, Line Infantry and more! Every class comes with its own traits and roles which are crucial for your team’s survival. 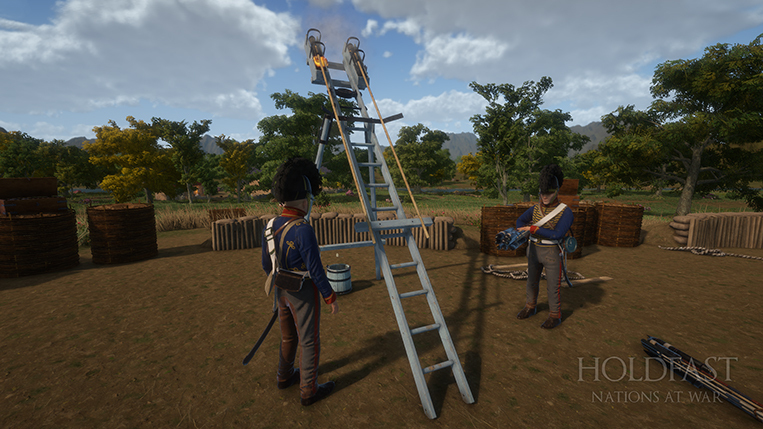 Holdfast: NaW’s order-based system allows for intuitive cooperative play where your ability to work as part of a team matters just as much as your personal skill. Big fan of Creative Assembly games here, and this looks amazing. Will you need testers? Hello! The game is already out on Steam Early Access. Feel free to check it out. Holy batman, how have I not seen this till now. Love the detailed posts. What is your plan for mod support? Hey, we would like to start from a map editor first then eventually move forward to other modding functionality. I'm really glad that you've taken a liking to our game! Feel free to contact me on andrew@anvilgamestudios.com if you'd like a key sent over to check the game out. We will most certainly be adding additional factions in Holdfast: NaW. The community will be involved in our decision as to which faction is brought first into the game. How is the entering of ships gonna work? What I mean is is it gonna work with grappling hooks? Hey! Right now you can board other naval vessels by de-masting them which will cause the ship to cease sailing. We also have plans for grappling hooks to make it into the game in the future. This among other systems we have planned for naval combat will encourage boarding to take place even further.